According to Kerala Muslim Cultural Centre (KMCC), at least 5,000 people from here are flying home to campaign for the upcoming Lok Sabha elections to be held on April 23. The expats, who are all members of the voluntary organisation based in the UAE, will be leaving in stages from tomorrow (Tuesday) until April 22 ahead of the voting scheduled next week. Parliamentary elections will be held in a single phase in Kerala. Out of the total 20 constituencies in Kerala, Congress will be contesting from 16, IUML from two, while Kerala Congress (M) and RSP will be contesting from one constituency each. Speaking to Gulf News, the Centre’s President, Ibrahim Elettil said 500 members and expats are flying tomorrow on an Air India flight to Calicut. The Indian election fever is on full swing in the UAE. He said the Centre has been able to secure discounted flight rates for its members who are all travelling on the same flight. The rest of the expats from Kerala are phasing their departure from April 17 until 22. “Most of us are voting for Rahul Gandhi. We like him,” said Elettil. Meanwhile, opinion polls in Kerala have predicted a dismal result for the Left coalition in the state. 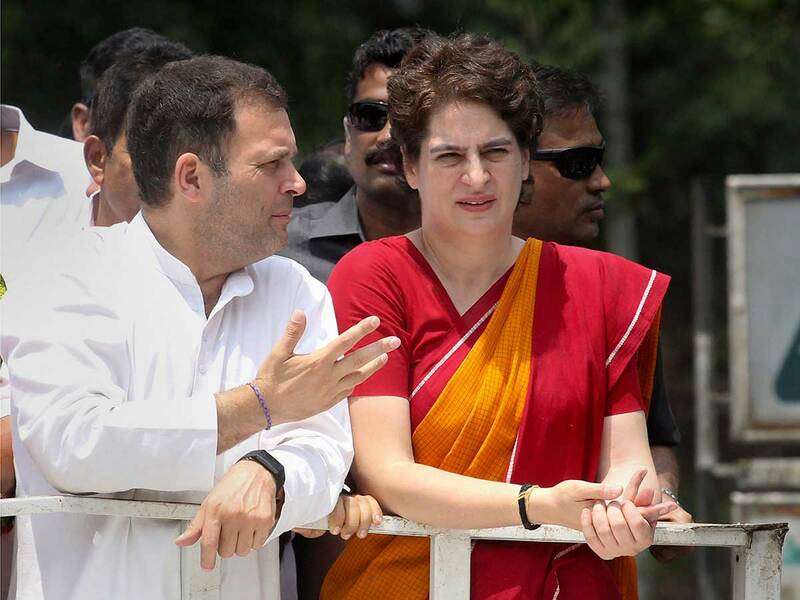 On April 4, Rahul Gandhi filed his nomination for Wayanad Lok Sabha in the presence of his sister and AICC General Secretary Priyanka Gandhi Vadra. It was an exciting moment for Kerala supporters where Congress holds the maximum number of constituencies. 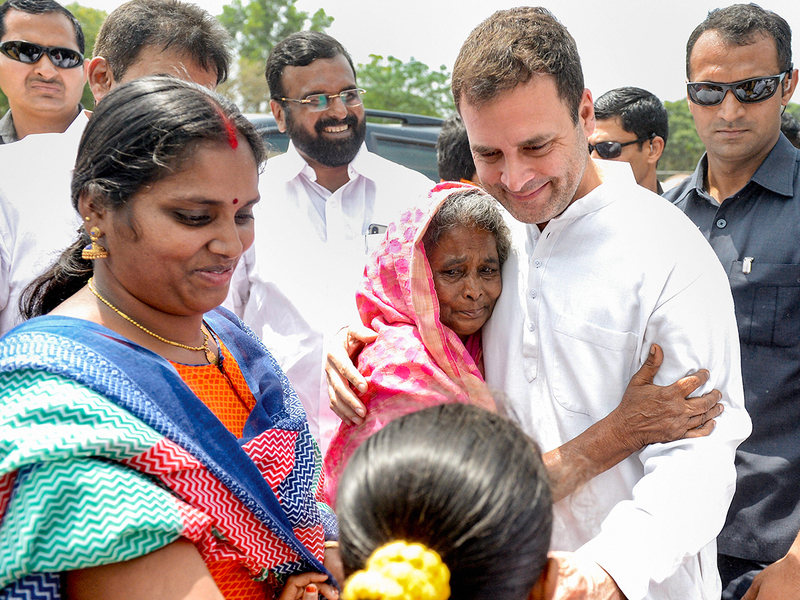 Wayanad is the second Lok Sabha seat Rahul Gandhi will be fighting from after Amethi in Uttar Pradesh. 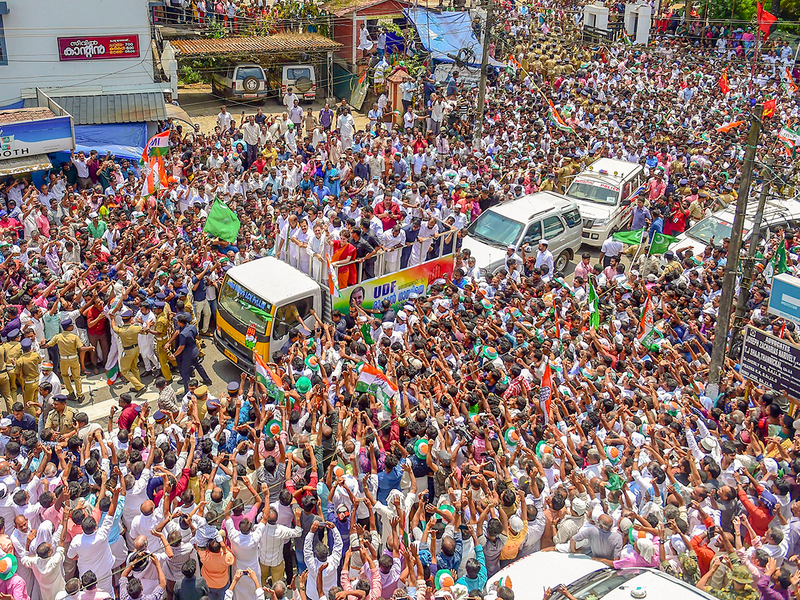 Gandhi’s nomination in Wayanad has been ridiculed by the opposition who mocked him for filing a nomination from the state which has traditionally been a safe seat for Congress as it has a large number of minorities as voters. Every year the Centre organises a special flight to take voters from the UAE. 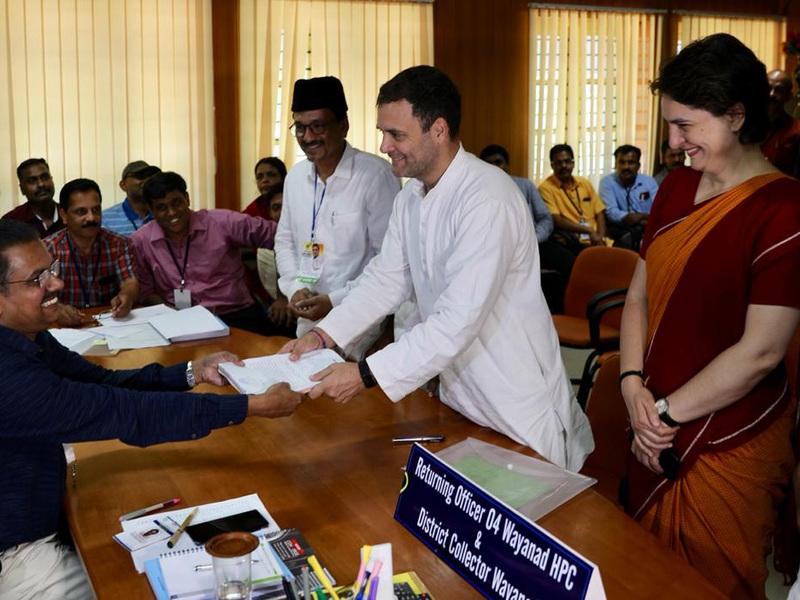 Close on the heels of Rahul Gandhi filing his nomination from Wayanad, a tribal girl from Kuruchi tribal community secured a 410th rank in the Civil Services Examination, further sending excitement among residents of the district. It is said to be the highest rank secured by a student of a tribal community in Kerala giving her a position in the Indian Administrative Services (IAS).